Celebrating over 2000 followers on my blog! $10 Amazon gift card giveaway! Thank you to each and everyone of you for following my blog and my love of books. Tracie Peterson and Kimberley Woodhouse have written a book will bring you to tears. A book that captures your heart and takes you on a very emotional roller coaster ride all the way through and doesn’t let it go until the very end of the book. I shouted, cried right along with these characters. There is so much love, anger, hate, love, understanding, determination and faith in this story. You never knew what to expect next. If you love suspense, romance and faith then you will surly love this mesmerizing story. Be sure to get your copy of Beyond the Silence today! 5 stars! I received a copy of this book for my honest review. Still, something dark did happen in the family’s past. Lillian’s seven-year-old charge hasn’t spoken in over a year. Gently, Lillian tries to coax him out of his shell, hoping he’ll one day feel safe enough to share what scared him. But the Colton olive farm is no longer a safe place. Lillian encounters suspicious characters on their land and mysterious damage done to the farm. When the housekeeper is brutally attacked, the town once again suspects the worst. Will discovering the truth help Lillian clear the name of the man she has come to love—or will it endanger her even more? Kimberley Woodhouse is a multipublished author of fiction and nonfiction. A popular speaker/teacher, she’s shared her theme of Joy Through Trials with over 150,000 people at more than a thousand venues across the country. She lives, writes, and homeschools with her husband of twenty-plus years and their two awesome teens live in Colorado. A Son’s Vow is book one in The Charmed Amish Life by Shelley Shepard Gray. This is not your typical Amish romance book. Shelley has skillfully written a heart touching story. A story that is filled with so many strong emotions that will surly draw you into the story right from the start and not let you go until the very end! There is so much love, pain, heartache, hope, denial, devotion, and faith in this story. Characters that will grab hold of you and take you for the emotional roller coaster of a ride thought this story. This book surely has to be Shelley best Amish fiction that she has ever written! I am so looking forward to reading the next book in this series. Be sure to order your copy of A Son’s Vow by Shelley Shepard Gray today! 5 stars! Make sure you follow the blog hop and enter. Grace’s Forgiveness is book two in the A Keepsake Pocket Quilt series. This is such a wonderful story filled with love, faith, heartache, pain, determination and shyness. Grace’s Forgiveness is such a touching story that will warm your heart. I love how Molly draws you into the story and doesn’t let go until the very end. I love how one of the main characters has the disfiguring birthmark. I wanted to shout and smack those that were mean towards Grace for the birthmark that she had. It makes you open your eyes and stop and think how you treat others that are different from you. What a powerfully moving story. Be sure to order your copy of Grace’s Forgiveness by Molly Jebber today. 5 stars! I received a copy of this for free for my honest review. Make sure you connect with Carrie on social media. Grace in “Grace’s Forgiveness”, my second book in my keepsake pocket quilt series, was fun to write. Strangers gasp when she turns her face, and they discover her birthmark on her cheek. You’ll find out how she copes with it. I hope you’ll laugh, cry, and rejoice with her like I did. Grace and Mark’s story unfolds with twists and turns to keep you guessing. Their Amish laws are not always easy to follow! I had more ideas than usual for this story. In the grocery, and of course I couldn’t find paper and pen! In the middle of the night, and I was too sleepy to get up and write them down, and while doing laundry. What a mess! Let’s just say, I ran the rinse cycle twice on those clothes. Note to self. Don’t put in detergent while rolling a story idea in my head! Love. Doesn’t just saying the word make you smile! That giddy, wonderful, and exciting feeling. The grass is greener, the sky is brighter, and you want to hang onto to it for life. I found it with my soulmate and husband, Ed. He’s my rock and inspiration. God, my Heavenly Father is available 24 hours a day, and seven days a week. When I get discouraged and need to talk at two in the morning, He’s there! I love Isaiah 41:10, King James Version, “Fear thou not; for I am with thee: be not dismayed; for I am thy God: I will strengthen thee; yea, I will help thee; yea, I will uphold thee with the right hand of my righteousness. You also life me up. I couldn’t keep writing without encouragement from you! Thank you so much for your kind words and support! Please visit my website to find out where I’ll be speaking. I’d love to meet you! The Restoration is book three in The Prairie State Friends series by Wanda E. Brunstetter. This is a story that is filled with love, faith, devotion, heartache and hope. There is always something happening in the story. The things that people will do in the name of love are surprising. I have enjoyed this series. 4 stars. Be sure to order your copy of The Restoration by Wanda E. Brunstetter today. 1-How long does it typically take you to write a book? Well, my first manuscript (which will never see the light of day) took me 5 years to write. I started it when I was 21 and a student missionary in China. I kept writing while finishing my degree in elementary education, through graduation, getting married, my first teaching position, and, finally, my first child. You could say life happened during those pages! The Isaac Project didn’t take quite so long–about 2 years–although morning sickness and taking care of a toddler kept me busy. I’ve been working on my current work-in-progress for about a year and hope to finish in a few months. My family comes first, but I do try to spend about an hour a day writing. My goal is to be able to write and publish a book a year. 2-When did you write your first book and how old were you? I started it when I was 21 and finished when I was 26. And that was only the first–and only–draft. 3-What suggestions would you give potential author to help them become a better writer? Read! Read! Read! It’s my favorite way to learn the craft of writing. I just love to soak up a good book. Another thing that really helped my was joining ACFW and participating in their critique program. Getting feedback from other authors really helped to point out my weaknesses and things I could do to polish and tighten my manuscript. 4-How frequently do you hear from your fans? I love to hear from readers! It’s so fun to talk books and characters. I’ve been able to connect with some readers of Facebook and hope to hear from even more. 5-As a child, what did you want to be when you grew up? Did becoming a writer ever cross your mind? I’m a pretty practical person, more logical than dreamer, so I never thought of becoming a writer because, well, you know, starving artist and all. I did always love to read and write and spent a great deal of time doing both. As far as a career goes, though, I always wanted to be a teacher. I’m a stay-at-home mom now and have the tow cutest “students” ever. 6-What hobbies do you enjoy when you are not writing? Reading of course! In the summer time I really like going camping and hiking with the family. I’d love to be able to travel more as well. There’s a great big world out there, and I want to see it all. “You’re no more dying than I am.” Oh, how I wished that were true, but the evidence lay before me in that hospital bed. At least he was looking better and no longer required the use of an oxygen mask. I propped my hip on the mattress and took Poppy’s hand in mine. “What would you like to know?” I asked, trying to keep the trepidation out of my voice. I had no intention of telling Poppy a bold-faced lie, but I also didn’t plan on telling him the complete truth. I was walking a fine line, which was why I’d hoped this conversation wouldn’t take place. “Lisa introduced us a while back.” As in, two weeks ago. Over the phone. Being vague was not lying. I swallowed hard. Love? This would be a tricky one to answer. “Does anyone ever know the exact moment they fall in love?” Answering a question with a question seemed the safest bet. Finally, a question I could answer for real. I smiled. Even though Luke had just proposed yesterday, with all the events that took place since then, it felt like forever ago. When I’d first asked Lisa to find me an “Isaac,” I thought having someone propose to me was something else I was giving up. But I was wrong. I caught Poppy staring at me, and the pressure on my hand increased. I tried not to blink. Or twitch. Tried not to gulp down the saliva that was gathering in my mouth, or wipe away the sweat beginning to form on my palms. Nothing that would give me away. How could I tell him I wasn’t sure? That I had only met Luke the day before, and even though I felt God’s guidance, there was still a sinking sensation in the pit of my stomach? That my chest felt like it was in an ever-tightening vise, and I couldn’t take a full breath? That I was scared spit-less, but I was doing it all because of him? For him. I could never say any of that, so I plastered on what I hoped was a believable smile and a lovesick expression. Sarah Monzon is a pastor’s wife and a stay at home mom of two small children. 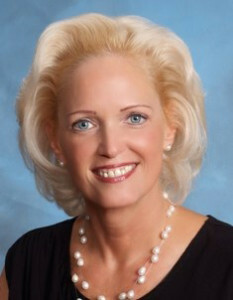 She has a bachelor’s degree in elementary education from Southern Adventist University. Sarah is a member of American Christian Fiction Writers (ACFW). The Isaac Project is her debut novel. What a refreshing take on a romance book. The Isaac Project is such a wonderful change to the romance books that are on the market today. delight you in their story. A most unlikely modern day romance. A story that lives up to its name The Isaac Project. A must read. 4 stars!